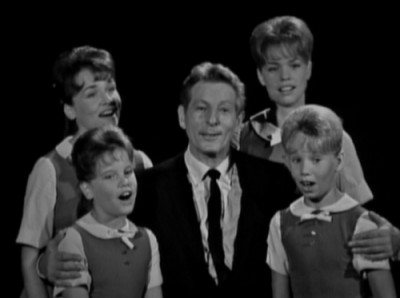 Running from 1963 to 1967, The Danny Kaye Show was a variety hour that featured the former movie song-and-dance man in a series of comedy sketches and musical numbers that highlighted his clownish amiability. The new 2-DVD set, The Best of the Danny Kaye Show features six full episodes (50 minutes each and commercial-free) of this vintage show. Considering that somewhere in the ballpark of 120 episodes were produced, it's hard to accept the claim on face value that these six are the absolute "Best" the show had to offer. Then again, maybe the folks who own the shows are just being cautious and gauging interest, to determine if the eventual release of future volumes is justified. As someone who was thoroughly entertained by this release, I hope there are more "best-of"s to come. The first disc highlights three episodes from the show's Emmy-winning first season. With a writing staff that included some of Sid Caesar's former writers, Mel Tolkin and M*A*S*H's Larry Gelbart, plus up-and-comers like the team of Paul Mazursky and Larry Tucker (Bob & Carol & Ted & Alice), this early stretch of the show is heavily focused on comedy sketches. And they're sharp too. 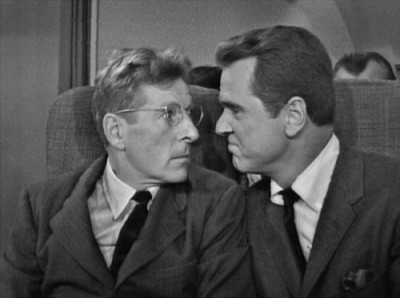 In a great early sketch, guest star Jackie Cooper plays a boorish airline passenger who bothers apprehensive first-time flyer Danny. In another, Danny takes a business lunch at a restaurant that is also in the middle of a fashion show, which leads him to get very distracted and drunk. 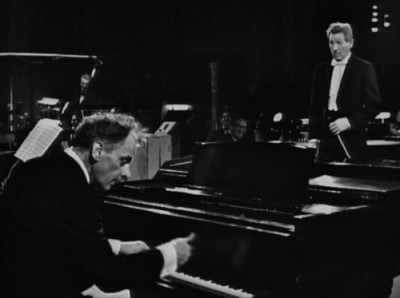 In yet another, Danny conducts the Television City Orchestra with guest star Art Carney as the piano soloist in a bit that plays like a live action variation on the old Bugs Bunny cartoon, Long-Haired Hare. While all of these sketches rely on the rubberiness of the star's physicality and his impish charm, there is an underlying cleverness to these premises that certainly helps too. Things do get a little convoluted and out-of-hand in a Twilight Zone-mocking sketch where Carney plays a British pilot who bails out over a mystical, vaguely "Oriental" place overseen by a 400-year-old man who can barely stand (played, naturally, by Danny). 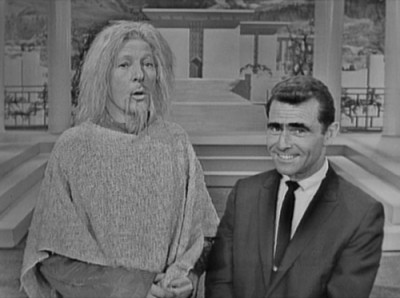 It's a treat to see Rod Serling show up briefly during this sketch to poke fun at his own image though. One of the most interesting aspects of these first-season episodes is the tension between a traditional showbiz aesthetic and an opposing vibe that isn't exactly hip but feels more current. It's reminiscent of Edie Adams's contemporaneous variety show, Here's Edie. 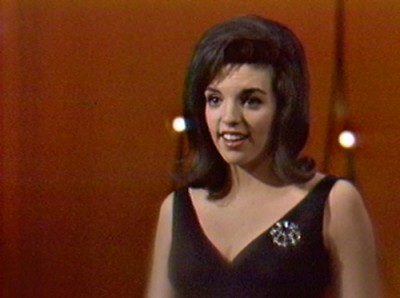 While these three episodes highlight Broadway singers Lovelady Powell and How To Succeed In Business...'s Michele Lee, a family act called The Clinger Sisters, and a musical trip down memory lane with Gene Kelly, there are also more experimental moments like a pantomime about the fickleness of love that focuses solely on the performers' feet and an offbeat musical performance by gospel folk duo Joe & Eddie. The most entertaining collision of these sensibilities comes during a triptych of musical parodies, reimagining popular Broadway shows as odes to baseball. 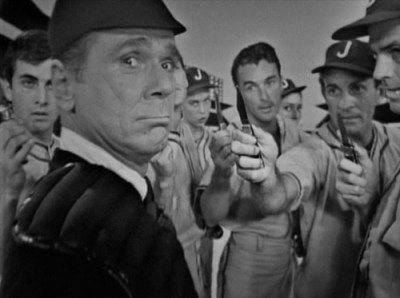 While the "My Fair Umpire" and "The Baseball Man" bits are pretty cute, the parody of West Side Story ("Horsehide Story") is an inspired slow-motion ballet on a baseball diamond that pays tribute to Jerome Robbins's choreography while being incredibly funny at the same time. 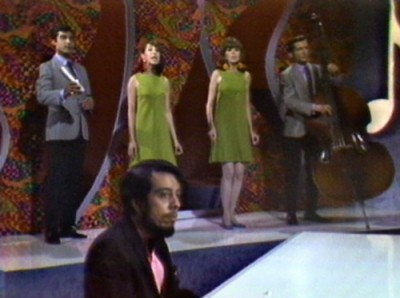 The second disc features episodes from the show's third and fourth years, after the broadcasts had switched from black-and-white to color. The focus of the show seems to have shifted a bit too. These three later episodes highlight many more musical numbers and less comedy, which is just as well, because, despite some good jokes sprinkled throughout, the sketches in these episodes err more on the side of corniness than the black-and-white shows included here do. The last two episodes are also quite strong musically. 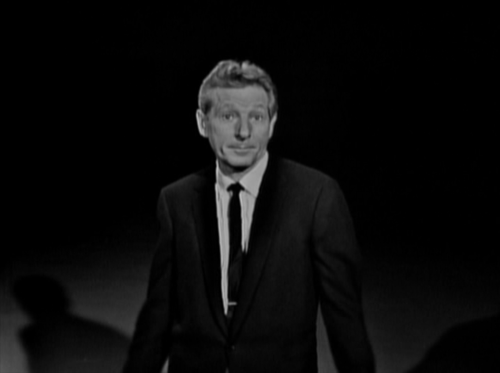 The second-to-last episode in the set technically guest-stars Alan Young (aka Wilbur from Mister Ed), but in a bit of revisionist history, he is upstaged in the DVD menu by a 20-year-old Liza Minnelli, whose performances here are admittedly more memorable than his. Crooner John Gary is also featured in that episode. 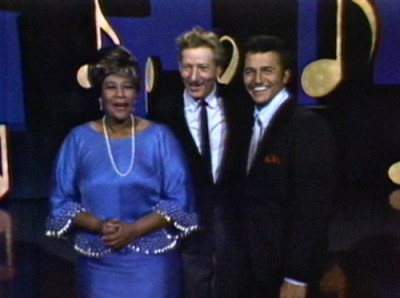 The final episode is chock full of musicians, with main guest star Ella Fitzgerald, plus Buddy Greco* and Sergio Mendes & Brasil '66. There are other notable names connected to these shows besides the guest stars, too. 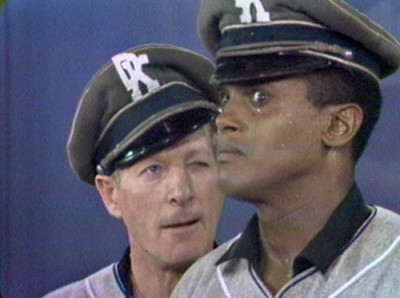 The episodes included in this set also feature early comic performances by Harvey Korman, Jamie Farr, and Joyce Van Patten, plus Jack Benny makes a particularly hilarious cameo during the show's debut episode. *Buddy's real first name is Armando. In one fun moment, Danny calls Buddy by his real name, catching the singer by surprise and causing him to crack up. 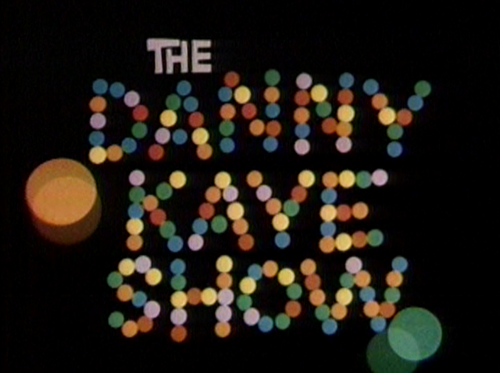 The Best of the Danny Kaye Show is presented on 2 DVDs, with the 3 episodes on each disc that can be played together or separately. 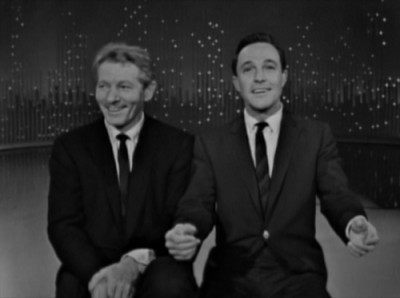 There is a slight hiccup on the first disc, where the cold-open sketch of the Gene Kelly episode appears at the end of the preceding episode if you play them separately. This error poses no problem, however, if you just choose "play all." Both the black-and-white and color episodes are included in standard 1.33:1 presentations. Though the show was shot on video during both eras, the black-and-white episodes boast a much clearer, stronger picture. This makes some sense, considering color video technology was essentially in its infancy. While the B&W images have a pretty nuanced range of contrast, lack significant video noise, and do a decent job reproducing details, the color episodes are noisy, smeary, and prone to discoloring the subjects' skin tones slightly. The quality of the masters is also different, with the B&W episodes looking as good as their original broadcasts (presumably) and the color episodes occasionally marred by lines and drop-outs. Both presentations are perfectly watchable, but it's crazy to realize that the show's "upgrade" to color actually sacrificed a lot of picture quality. The Dolby 2.0 mono mix sounds quite good, with no noticeable issues with distortion, noise, or drop-outs (unlike the video). Hoofer-crooner-clown Danny Kaye is a magnetic performer who is a delight to watch. 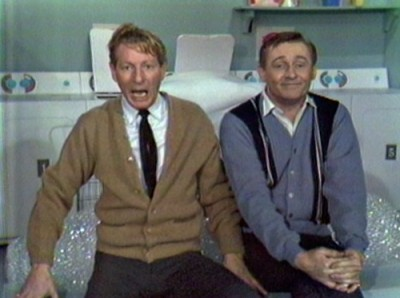 The material in The Best of the Danny Kaye Show gives him a chance to show off his stuff, both solo and with some world-class partners. Hopefully, there are plans to release more episodes from the vault. Even if there's not, this is a quite enjoyable overview of a classic variety series that comes Highly Recommended.